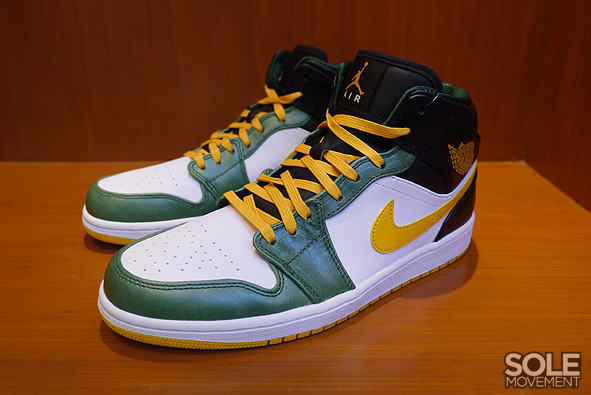 Now known as part of an upcoming "Formidable Foes" Pack is this all new Supersonics-inspired Air Jordan 1 Retro Mid. 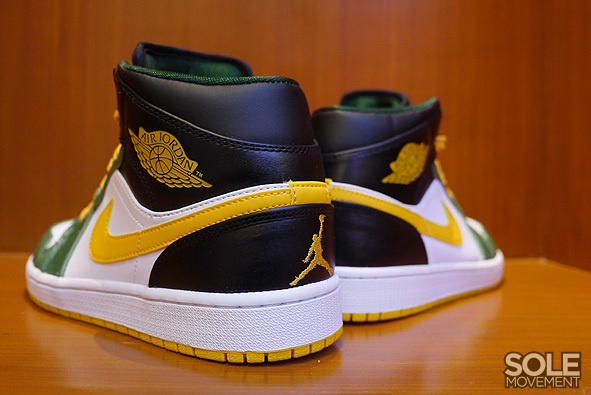 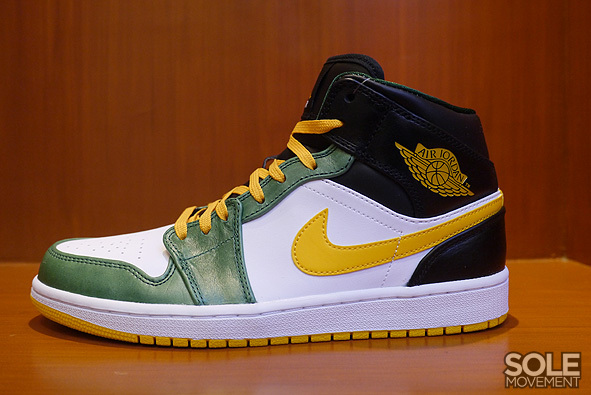 Celebrating MJ's NBA Final's opponents, we see the iconic Air Jordan 1 in classic Supersonics team colors. 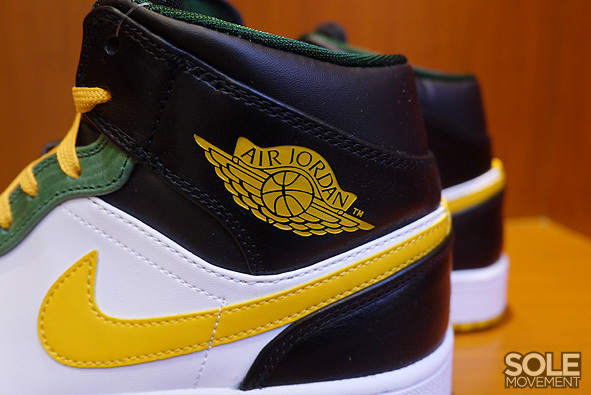 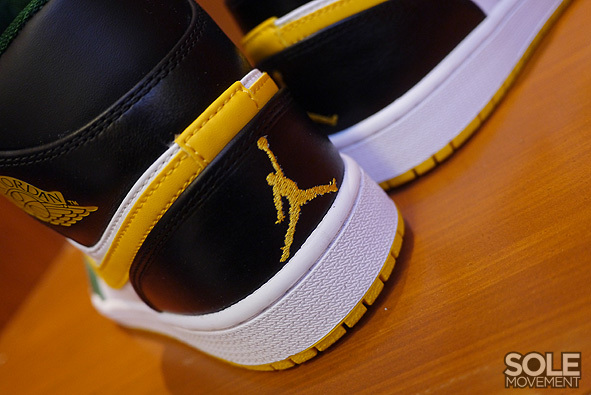 A combination of black, white, green and yellow takes over the timeless silhouette, and is finished off with yellow laces and a white/yellow Air Jordan 1 sole below. 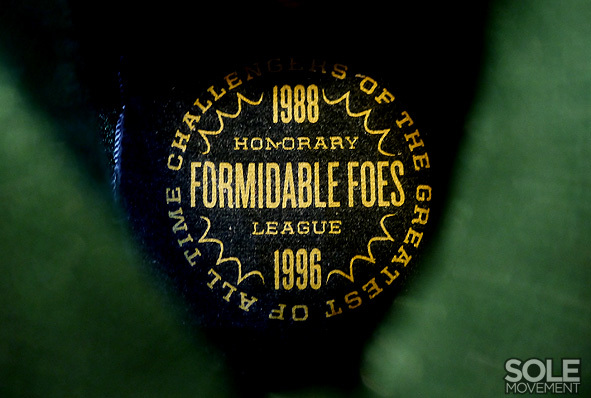 Stay tuned to Sole Collector for further details on the upcoming "Formidable Foes" pack by Jordan.